This is perhaps the skeleton in my closet of LBA shameful. Re: you roadmap, consider a Sigma 28/1.8. It's sharp from f2 onwards, fast, no distortion, and about ~$300 new. Works pretty darn well as a macro, at 1:2.3. Thanks for the suggestion, it is one of the lens that I will study. get the 35 macro, its sweet! 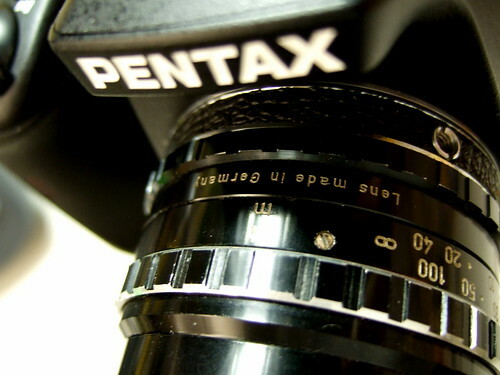 you are about to leave pentax? and move to Nikon? I am not leaving Pentax. I thought about a 2nd system with Nikon D90. But I have placed a halt on the plan, and revisit later on. And I did get Pentax DA 35mm f/2.8 limited instead of 31mm limited. I am Swift1 at PF. I like your blog. Looks like you have a worse case of LBA than I do. I just picked up a Tokina made VS1 70-210. Did a google search and found your blog. I now remember reading a few other times about other lenses I had found. Hin, it's Nino. You have definitely taken your CBA/LBA and done a lot. Let me know if you want to sell your Yashica 124G, I am looking for a gift for my sister. Great , I would suggest you to buy camera gear like Tripod during this black Friday sales.